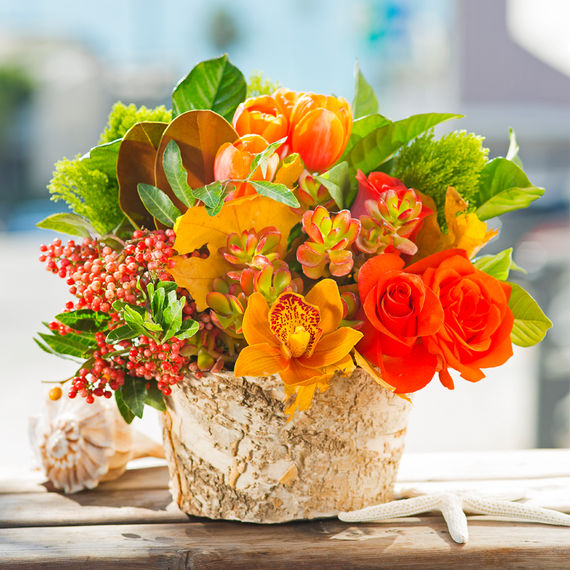 Los Angeles may not be famous for its fall colors, but that doesn't mean you can't enjoy autumn florals on your Thanksgiving. 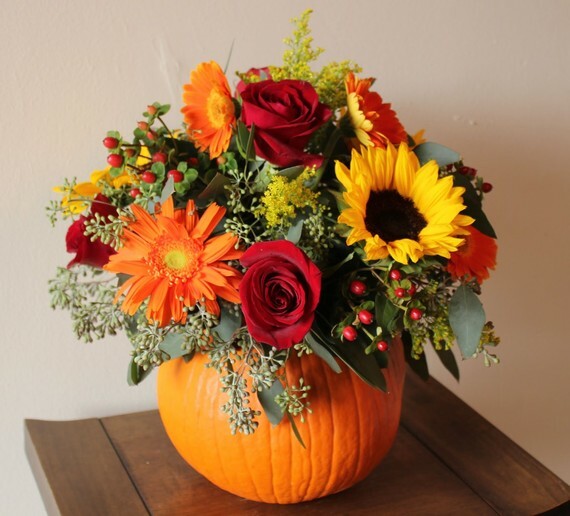 Seasonal flowers and fall-inspired arrangements help everyone get in the season -- even if the leaves aren't changing outside. Good Thanksgiving centerpieces come in all shapes and sizes. 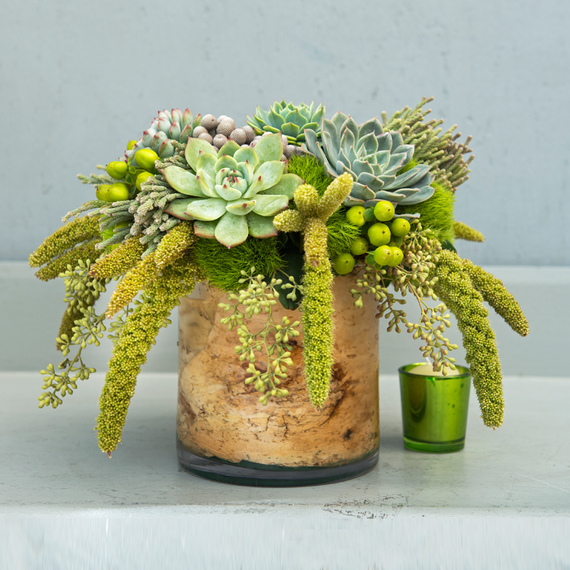 From festive sunflowers to understated succulents, below are ten of the best centerpieces you can find in Los Angeles this year. 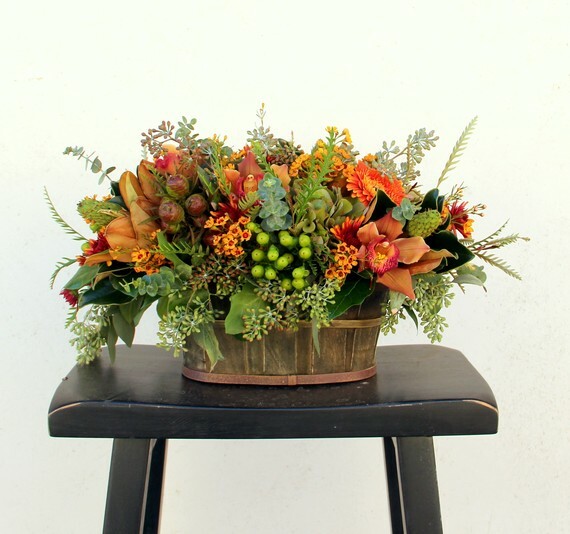 Hand crafted by local, independent florists, these arrangements are sure to bring joy to your table this Thanksgiving. 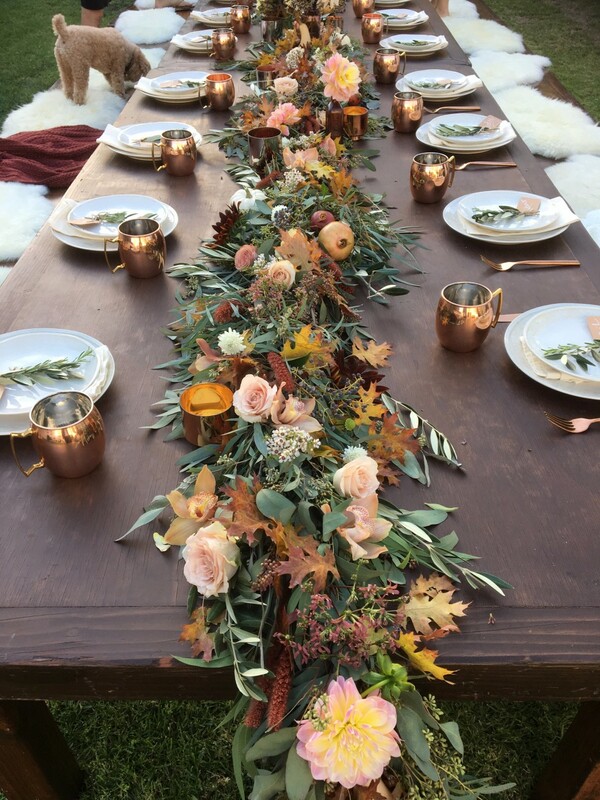 This beautiful garland doesn't just stay at the center of the table -- it extends the full length to provide florals for every guest. The 6-foot long garland features eucalyptus, maple leaves, garden roses, wax flower, bunny tails, spray roses, lisianthus, and fresh gourds and pumpkins. Just because we're done with jack-o-lanterns doesn't mean we should be done with pumpkins! This medium-sized centerpiece showcases beautiful fall-colored flowers including sunflowers and red roses in a hollowed-out pumpkin. For the host looking for a more modern touch, check out this fall arrangement. This is a seasonal designer's choice arrangement, so you know you'll be getting something good. Best part? It comes with the handmade stoneware vase pictured above. 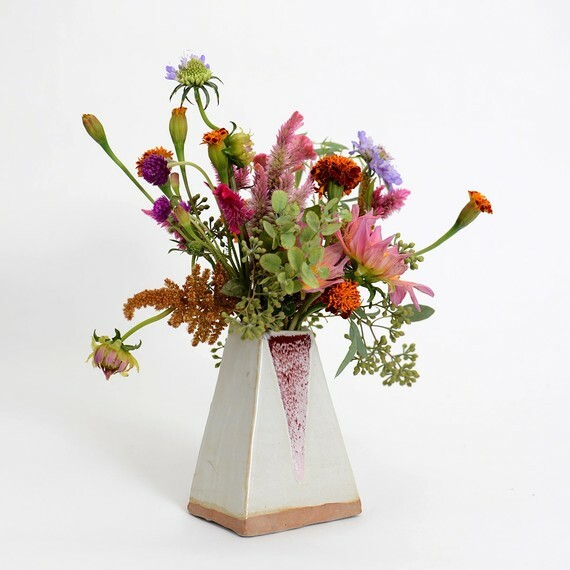 This arrangement is perfect for the trend-savvy host. 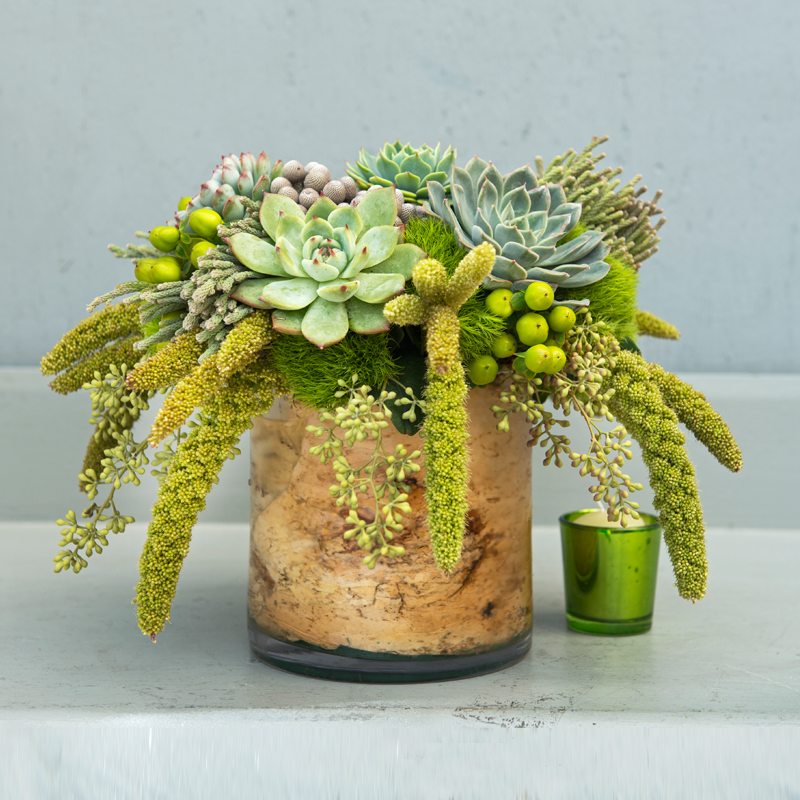 Featuring different types of succulents and grasses, this centerpiece fits right in with the SoCal vibe. This arrangement is the epitome of a Thanksgiving centerpiece -- orchids, roses, pumpkins, wheat, and fall leaves will make this a welcome addition on any table. 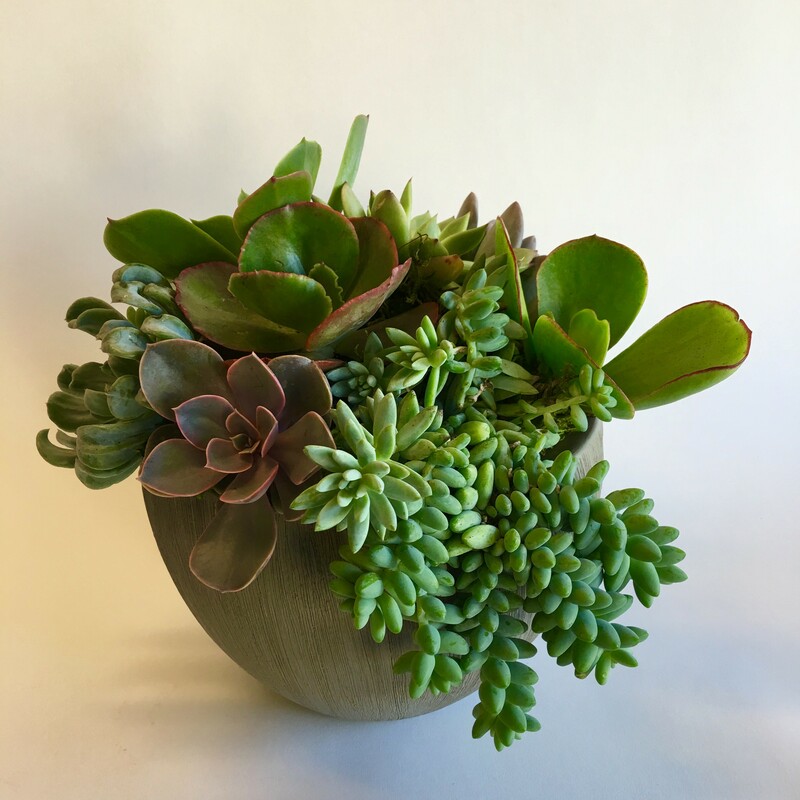 This succulent arrangement isn't just adorable -- it's also a space saver! Since this arrangement is so manageable, consider getting two or three and spacing them evenly along your table. This bouquet focuses on the oranges and reds that make this season so special. The Petal Florist also throws in some purple accents, making this arrangement perfect for a traditional table with a little kick. The Velvet Garden pairs autumn leaves with stunning white blooms to create an understated and seasonally appropriate color palette. 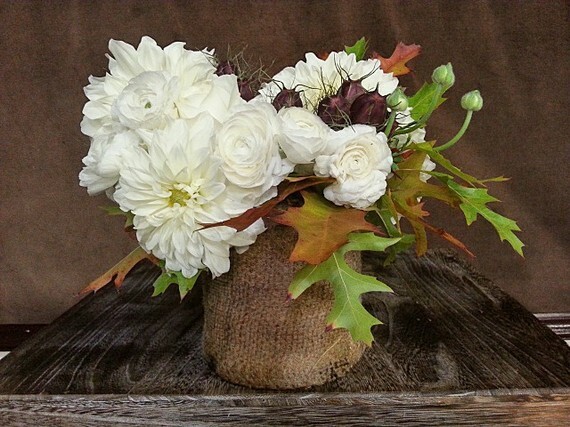 The burlap fabric around the base makes this arrangement the embodiment of rustic elegance. 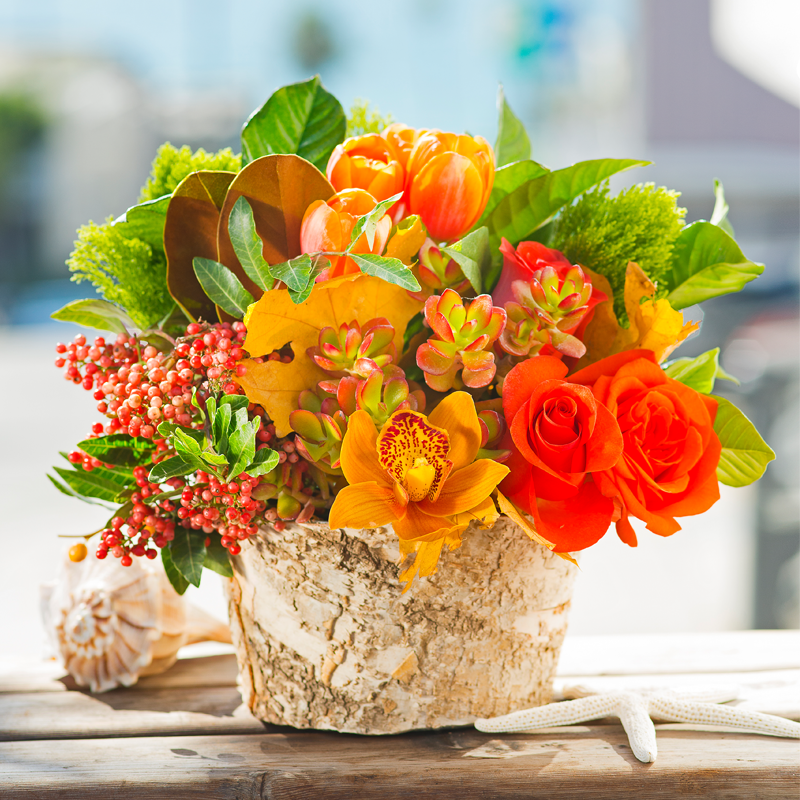 Get the best of both worlds with this bright and cheerful arrangement that showcases both bright blooms and succulents. 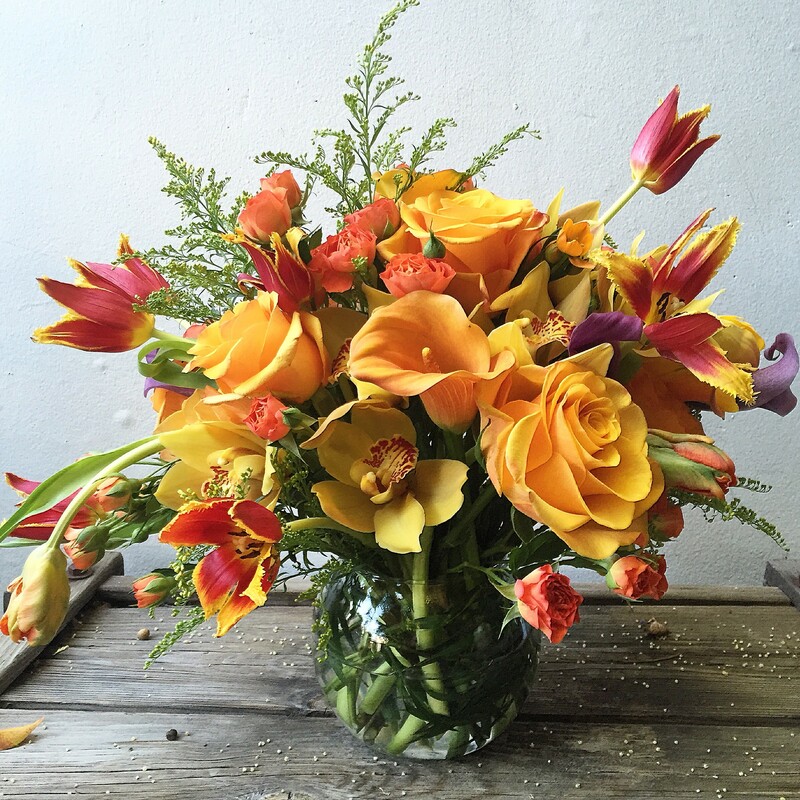 Growing Wild's bouquet is as diverse as your Thanksgiving meal, featuring magnolia leaves, roses, cymbidiums, hypericum berries, succulents and tulips. Wow your guests or surprise your host with this autumn harvest basket. 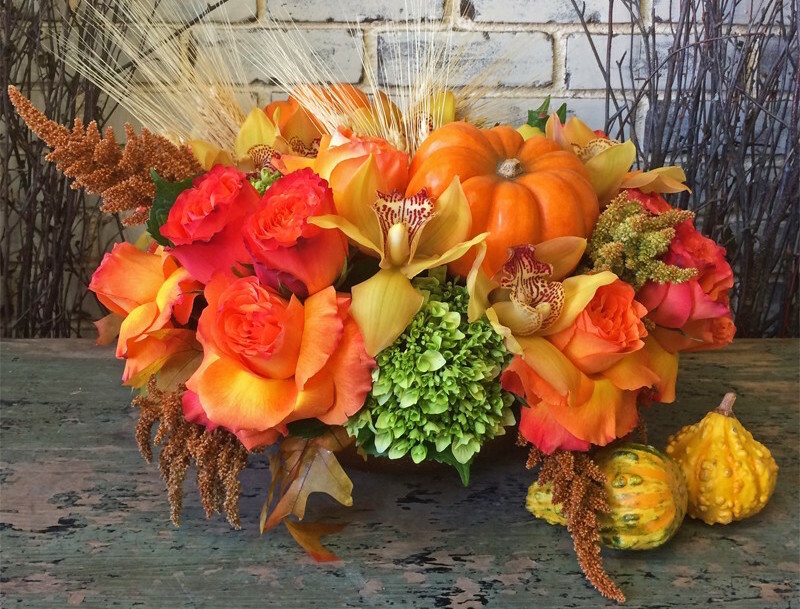 Joan's Flower Shop makes this the perfect centerpiece by using seasonal fillers that feel right at home in the fall months. Most prominent blooms here include dark orange cymbidium orchids, bi-colored orange roses, and green hypericum berries. Follow BloomNation on Twitter, Instagram, and Facebook.